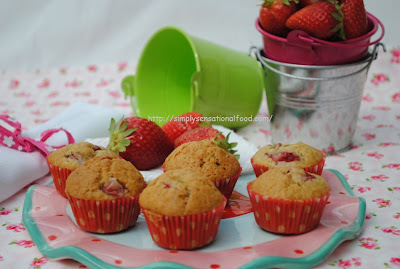 hw cute luking cakes...love d cliks n tempting muffins...wish i grab those..
aw that little bucket is so cute, and strawberry muffins is just perfect, would love to have for breakfast! 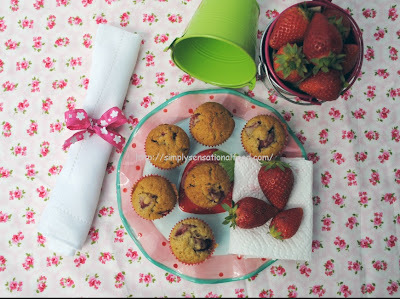 cute lill muffins and esp cute is the floral printed sheet below..
Lovely muffins and nice presentation ! nice to find tasty egg free recipes. They look lovely, such beautiful looking cakes. I have very few vegan recipes for when guests of that ilk are over. Thanks for this one and thanks for linking up at Pin It Tuesday! These look gorgeous! I'll be trying these! They look so scrumptious! & no egg, so maybe good for my grand-daughter whose allergic to eggs, will have to check with DIL, be lovely to make these with her. that is so tempting... love the name - strawberry kisses as they look so cute for a kiss inside that cute green container... picture perfect... Thanks for linking it to my event!! Looking for more yummy recipes!! Im making these for my dad on father's day! Oooh these look yummy ! Pretty muffins/cupcakes. I'm not allergic to egg but this is great for anyone who is. 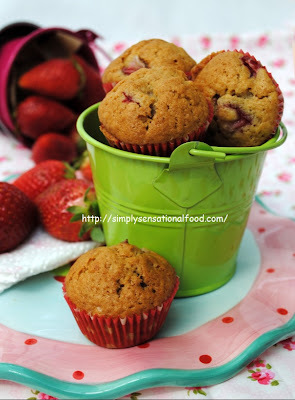 An interesting twist on the muffin. 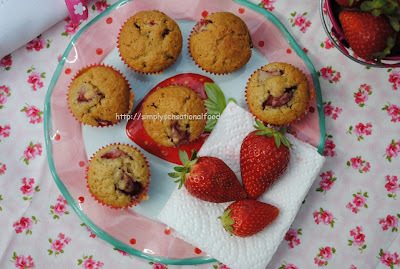 Baked these and they were so lovely! Thank you for sharing! 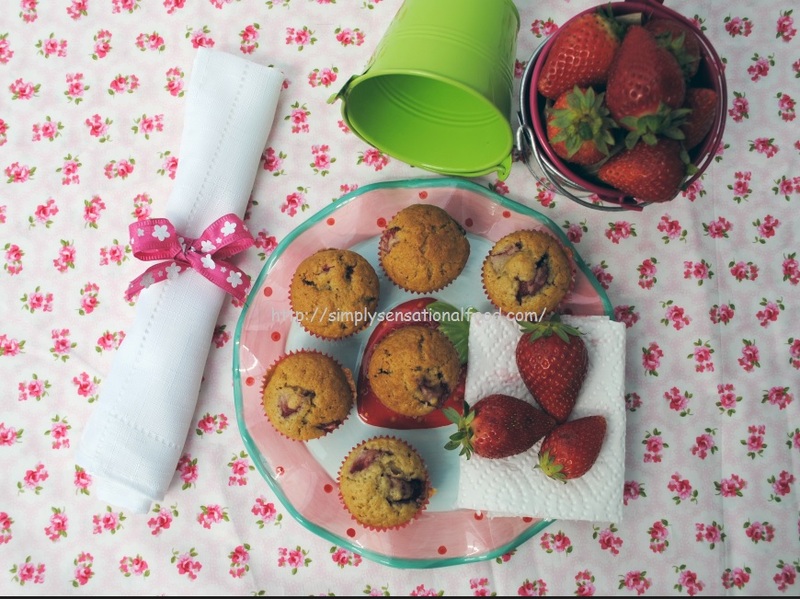 I wish I could get my muffins to look like that. looking so beautiful. thanks for sharing such a lovely stuff. Sound delicious. 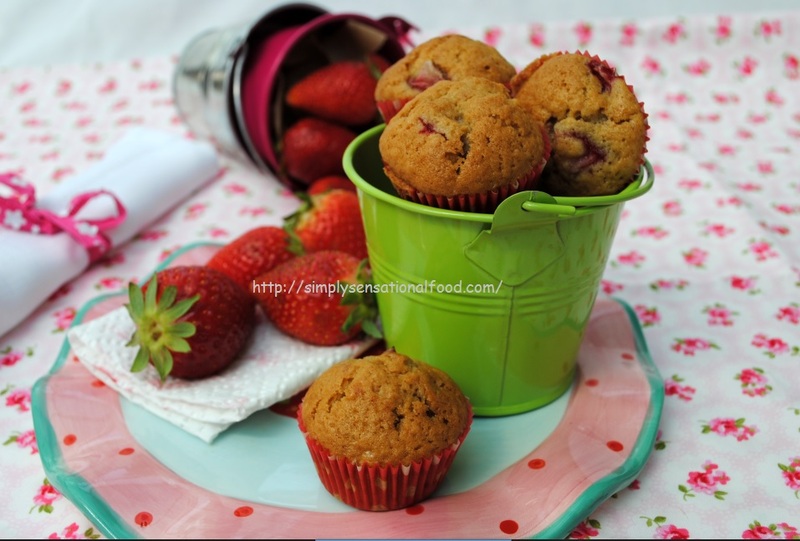 Have bookmarked this page to make when strawberries come into season. My daughter has an egg allergy, so we do all our baking egg-free. I'm sure she'll love this recipe as strawberries are one of her favourite fruits. Cute little strawberry muffins. I love them. And I love your props.My hubby didn't want me to enter any of the household shops in Dubai. He thought I was going to buy the whole shop. 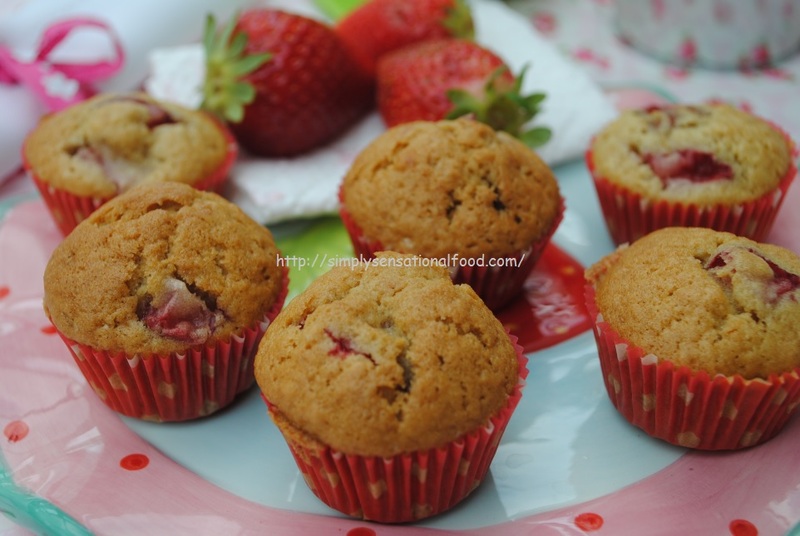 Love these mini muffins .. nice presentation.